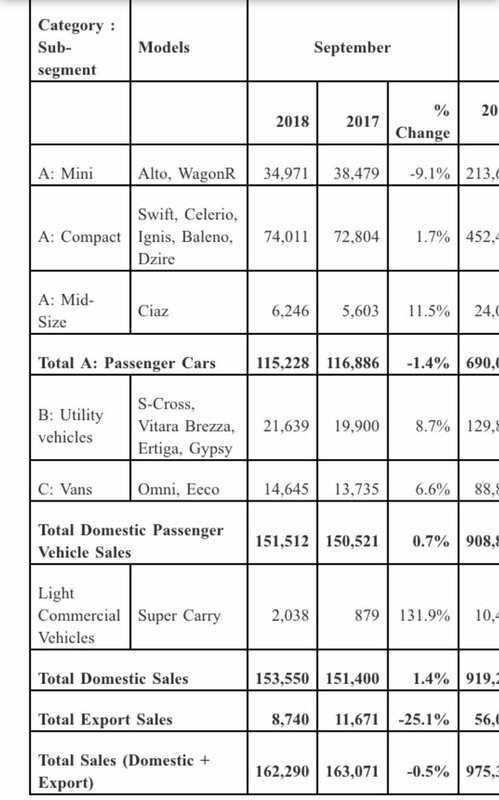 Maruti Suzuki, India’s top car manufacturer released the sales report for the month of September 2018. 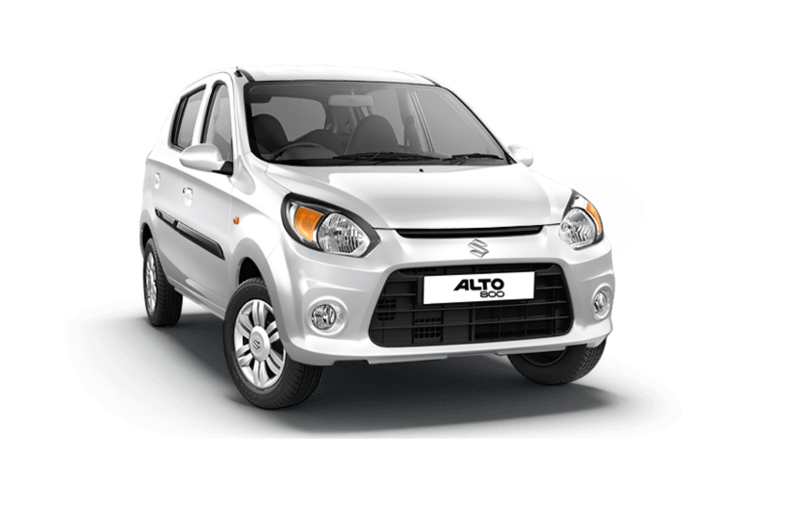 As per the sales report, the entry-level segment which comprises of car models like Alto and WagonR have reported negative growth of -9.1% . The auto giant managed to sell 34,971 units in the entry-level Mini segment as against to 38,479 units last year. The Entry level A segment that comprises of cars like Swift, Celerio, Ignis, Baleno and Dzire managed to sell about 74,011 adding up 2,000 units when compared to last year sales of 72,804 units. Maruti Suzuki managed to post positive sales growth in Mid-size A segment, Utility vehicle B segment entry level and C segment vehicles. The total sales domestic + export was at 1,62,290 as against to 1,63,071 units last year dropping the sales growth by -0.5%.